Damn. I Guess My Invitation to Chelsea Clinton's Wedding Got Lost in the Mail. Chelsea Clinton has lived a remarkable life, because of the whole being-the-daughter-of-our-42nd-president-and-current-Secretary-of-State thing, and the part where she went to Stanford and Oxford, and that stuff about being incredibly intelligent and accomplished, etc, ad nauseum. But her biggest accomplishment in life so far is something that is often overlooked by the "mainstream media" because they are too busy being jealous about it: Chelsea MAY (or may not) have once dated a dashing young actor by the name of Jake Gyllenhaal. side-by-side to illustrate a meaningless fluff story that is likely totally fabricated. Your author, who has made a name for herself by avoiding ever mentioning anything about Jake's private life on any of her numerous Jake-themed weblogs (the consequence of once having his father tell her Jake doesn't care for any of that gossip nonsense, dammit), is breaking her own rules today because she can't think of another way to tie in Chelsea Clinton's Very Famous Wedding (which could be happening right now as you read this!) to this post. Well, except that back in 2003, Chelsea interviewed Jake for Interview Magazine. That would have sufficed. It was a great interview and everything. Too bad it's been taken down and we can't read it. 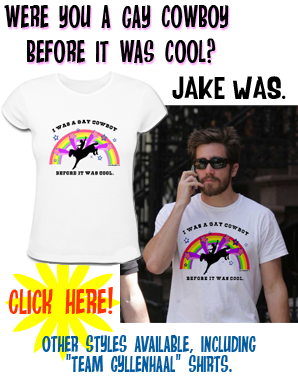 So instead, I will direct us to my FAVORITE JAKE GYLLENHAAL SITE on the entire internet. 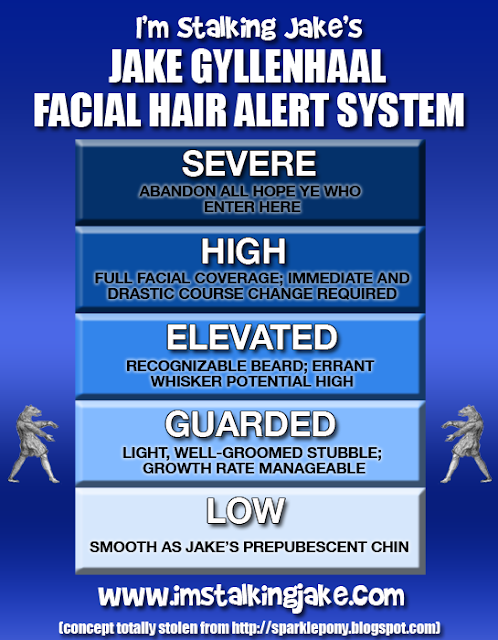 Misty's Jake Gyllenhaal Web site was the first Jake site ever, and while Misty has long since been lost to time (and/or apathy), what she created lives on as a fun reminder of that time in Jake's life when no one had any idea who the hell he was, and when Highway was going by the name Afterworld, and when Jake MAY (or may not) have been dating Chelsea Clinton. Q: You recently compared Jake Gyllenhaal (October Sky) to Leonardo DiCaprio in the acting/charisma category. You didn't mention the chasing-girls category. How does he stack up to Leo in that? ---Michael McGrath, Boston, Mass. A: He doesn't come close. Baby-faced Jake, 18, is too busy studying poetry and modern literature as a Columbia U. freshman in New York and juggling the acting offers that come his way. 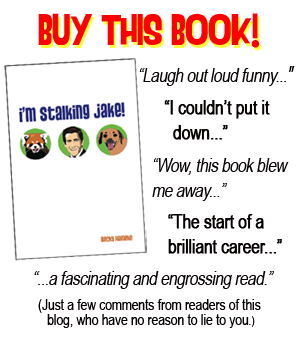 While Leo, 23, makes headlines with his bad behavior, Jake sprinkles his conversation with lines like: "If you lose track of why you're doing something, you lose track of yourself." For these reasons, we're betting Gyllenhaal (pronounced JILL-in-haul, Swedish for "golden hall") won't lose himself in the mindless world of models and trendy clubs. Incidentally, last month one of the tabloids hinted of a romance between Jake and Chelsea Clinton, 19, now a sophomore at Stanford. We wondered how romantic they could be, 3000 miles apart, but asked anyhow. Jake's publicist told us the two have indeed known each other for years but are "just friends." JUST FRIENDS, said the publicist. Which everyone knows is code for "slow news day obviously, but seriously they're just friends." Anyway, Chelsea, if you read this (which I'm sure you will), I wish you and your husband many years of happiness! I realize that will be difficult since you gave up your one true chance at contentment by not continuing your (possibly fictional) relationship with Jake but HEY no one's perfect and my thoughts are with you as you try to soldier on through the rest of your life. PG, im glad you passed on your best wishes, as i will too. Im sure Chelsea is totally struggling with her loss of Jake right now... Infact, maybe thats why Jake hasnt found me yet... he just cant get away from her pleading calls to take her back. Nice post, PG. Indeed, Ms. Clinton may be marrying this guy so that maybe it will be incentive enough to find her. Bad news for you Chelsea. Jake's got his hands full with all of us. You had your chance. Ha, too bad, Chelsea, you lost. But congrats anyway on your marriage to whateverhisnameis. It's not Jake, so that's all that matters anyway. Thanks for posting these, PG, he looks scrumptious as always. Love your label today, ha! Too funny! Chelsea Clinton was OBVIOUSLY out of her brilliant mind with grief over the loss of her one time (possible) romance with Jake that she must have forgotten to stamp your invitation, causing it to be lost in the whirlwind of forgotten mail...so sorry, PG.